Need help or Installation tips - CHECK OUT OUR INSTRUCTIONAL VIDEOS! Protect Your Investment and Reduce Ramp Rash With Mantec's Full Line of Safety Bumpers. Mantec Services Inc. has developed the reputation as an industry leader in providing exceptional standard and custom safety bumpers and extraordinary customer service. 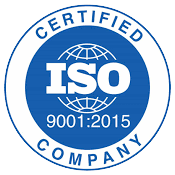 Our commitment to quality has allowed Mantec to establish longstanding partnerships with leading equipment manufacturers, airlines, and MRO firms designing and manufacturing their safety bumpers. Our safety bumpers are durable, made from the best choice materials, and provide the protection needed to keep both your equipment and employees safe. Custom Features and Environmentally Safe materials. We use an environmentally safe nonconductive bumper material for our standard line that's manufactured in the U.S. without CFC's or VOC's. 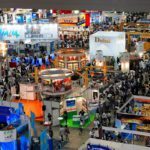 In addition, we work with a variety of materials such as PU, EVA, PE, Polyurea coatings, various rubbers, and elastomers. 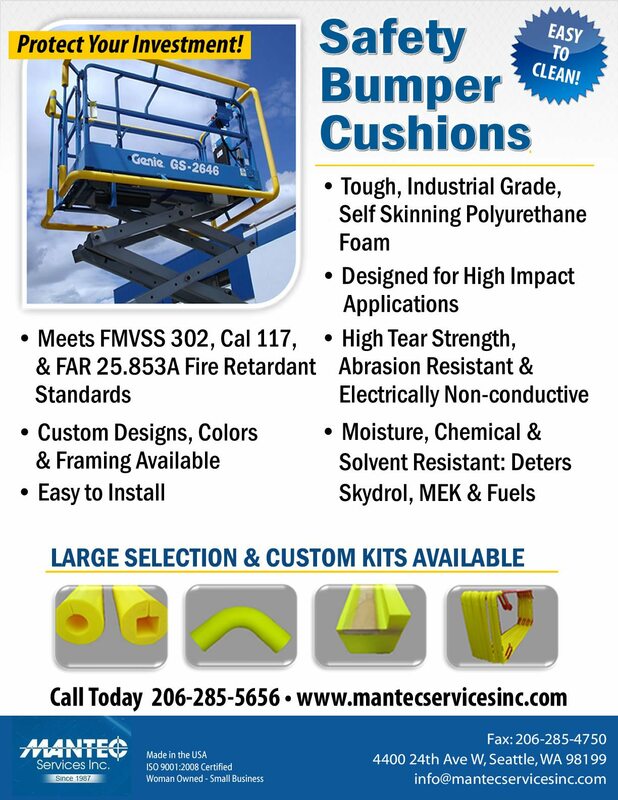 Mantec custom safety bumpers make an excellent solution to protect equipment used in harsh weather conditions such as the sun, heat, cold, dirt, wind, and rain. From full kits to Custom Corner Rails and More! 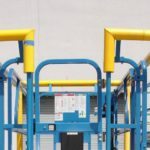 We manufacture bumpers for standard-size industry lifts, as well as custom parts, replacement pieces, and FULL KITS to fit popular equipment, maintenance stands, ladder corners, baggage cart corners, guard rails, conveyors, fall arrests, etc. We offer a range of dimensions with square or round IDs, elbow corners, end caps, ladder corners, and straight rail pieces. With a molded density of 15-20 lbs. per cubic foot, our bumpers are ideally suited for indoor and outdoor use, as well as for high impact applications. Mantec safety bumpers are easy to install, easy to clean and available in a variety of sizes. We even offer custom finishing options on request. Our standard color is Safety Yellow. Custom colors are offered at a modest up-charge. Note: Due to the inherent nature of foam, shrinkage will naturally occur up to 1% of overall length. For more information on all of our products, contact us directly at 206-285-5656. PROTECT YOUR INVESTMENT TODAY BY MAKING MANTEC YOUR SAFETY BUMPER PROVIDER!